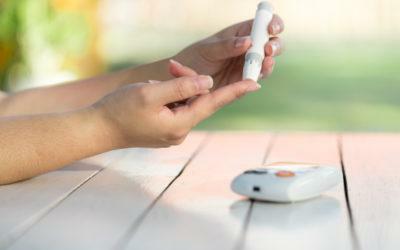 Home > Blog > Flashpoints > Is Brittle Diabetes Real? If you’ve lived on this planet for a certain amount of time, you may be familiar with the term “brittle diabetes” — usually used to describe unstable, difficult-to-treat Type 1 diabetes. According to a recent piece on MedPage Today, in recent decades, this term has fallen out of favor, just as many experts believe that actual instances of what the term describes have fallen, as well. So was “brittle diabetes” just a convenient label for doctors who didn’t know how to adequately control certain cases of diabetes in the past? Or is there something real to the phenomenon? Two studies published in recent years may help shine some light on the answer. One study, published last year in the Journal of Diabetes Research, was a case study of an adolescent girl with Type 1 diabetes and how her blood glucose levels corresponded to family dynamics and moods. Using complex statistical modeling, the researchers came up with a model with 70 parameters that explained the relationship between the moods of all family members and the girl’s blood glucose variability. For example, they found that a period of high blood glucose variability correlates with “an excited mother seven days earlier, a dominating mother four days earlier,” and “a dominating father both two and five days earlier,” based on self-reported scores of their moods that all family members kept. The researchers concluded that there’s most likely a two-way relationship between psychological factors, like the mood of someone with diabetes or her family members, and blood glucose control. This may be especially important for adolescents to know, since according to one estimate, just 33% of people ages 13–19 with diabetes maintain “tolerable glycemic control,” with an HbA1c level (a measure of long-term blood glucose control) below 8%. In another examination of “brittle diabetes,” an analysis of the issue published in Brazil’s Arquivos Brasileiros de Endocrinologia & Metabologia, the authors found that a cycle of unstable blood glucose levels often occurs due to a distinct biological mechanism. Episodes of hypoglycemia (low blood glucose) can cause what’s known as autonomic neuropathy, making the body less likely to react with noticeable symptoms the next time hypoglycemia occurs (known as hypoglycemia unawareness). This, in turn, makes it more likely to occur again, which can lead to a cycle of instability. But the authors found that the condition isn’t permanent — when people manage to avoid hypoglycemia for six weeks, their bodies tend to regain a normal response to hypoglycemia. What’s your take on “brittle diabetes” — have you found that stress or other psychological factors can make your blood glucose levels unstable? If your blood glucose is unstable for a while, have you found that it’s harder than usual to get back under control using your normal methods? Do you think the term “brittle diabetes” is a helpful description, or does it give the impression that nothing can be done about it? Leave a comment below!